NAIROBI-Kenya’s justice minister said the transfer of Kenyans to Uganda to face charges of involvement in bomb attacks in Kampala should not have occurred and that parts of the judicial system had failed.Mutula Kilonzo made the comments in an interview with Reuters on Wednesday. He supported the view of two Kenyan High Court judges who have criticised the transfer of several suspects to Uganda. Kenya High Court judge Mohamed Wasarme said on Tuesday the transfers flouted the rights of the Kenyan citizens. Yesterday, another Kenya High Court judge labelled the arrest, detention and removal of one of the Kenyan suspects as illegal. A total of 38 people, including Ugandans, Somalis and Kenyans, have been charged with terrorism over the twin bomb blasts in Kampala that ripped through crowds watching the World Cup final in July. The minister said he was not aware of any requests to transfer suspects to Uganda. “It is possible that Uganda may have requested for these people. The issue has not arisen anywhere I could have commented,” Kilonzo said. Kenya drew fierce criticism in 2007 for the transfer of scores of Somalis to Ethiopia after a US-backed invasion of the anarchic Horn of Africa nation that routed an Islamist administration deemed a regional security. Meanwhile, Kenya High Court judge Aggrey Muchelule yesterday termed the detention and extradition of Kenyans suspected to have been involved in the Uganda bombings as illegal and a breach of their fundamental rights. He made the declaration as he ruled on a petition regarding Mohamed Hamid Suleiman, one of the suspects held in Uganda over the terror bombings. However, Muchelule said the court could not order for the suspect’s repatriation since he was out of Kenya’s jurisdiction. A witchdoctor who misled Zimbabwean President Robert Mugabe’s entire Cabinet into believing that petroleum was oozing from a rock has been jailed for 27 months. President Mugabe went to the extent of setting up a Cabinet committee to investigate how the country could benefit from the “discovery” after Rottina Mavhunga claimed to have discovered refined diesel at a mountainous area. Mavhunga hosted several ministerial delegations at her shrine and was paid thousands of dollars as she sent the government on a wild goose chase. She cleverly exploited a fuel shortage that had gripped Zimbabwe for more than five years. A magistrate in Chinhoyi, about 100km from Harare, said the witchdoctor deserved a custodial sentence as the government had channelled money to her fake project and which was now lost. “The court cannot be faulted for saying that the offences were premeditated and diligently executed. “Many people became gullible owing to the crisis the country was under and accepted an unknown phenomenon. “The accused lied to the nation for self-actualisation and personal benefit. Your trickery brought despondency in the nation during a dry period,” the magistrate said while passing sentence. Mavhunga blamed the diesel claim on spirit possession. She said she does not know if the diesel exists. The government later discovered that Mavhunga and her accomplices were drawing diesel from tanks left by a white commercial farmer who lost his farm during President Mugabe’s controversial land reforms. Mugabe’s close ally and Zimbabwe’s registrar-general, Mr Tobaiwa Mudede, who allegedly sheltered Mavhunga when she was being sought by police, was also criticised. Mavhunga faces another charge after she allegedly exchanged a stone weighing 18kg, claiming it was gold, for a cow. FAIRFAX COUNTY, Va. â€“ A priest with ties to the Ohio Valley pleaded guilty Tuesday to sexually battering a young girl in Virginia. He was charged with one count of aggravated sexual battery stemming from a July 7 incident involving a child in Herndon, Va. Police said they were called to a home after a family reported Owino â€” their house guest and longtime friend â€” inappropriately touched a girl in their home. Kibera, Kenya (CNN) — Sixty-eight year old Naima Shaban can’t access health care, open a bank account, or even get a death certificate in Kenya. Like thousands of Nubians living in Kenya, she is effectively stateless. Shaban lost her national identity card 10 years ago. For most Kenyans it takes a few weeks to get a new one; she is still waiting. She has a faded copy that she has kept all this time. She can’t even improve her mud house. Most Nubians can’t get land title to their plots. If they build a formal structure it will be torn down. Nubians came to Kenya as an accident of history. 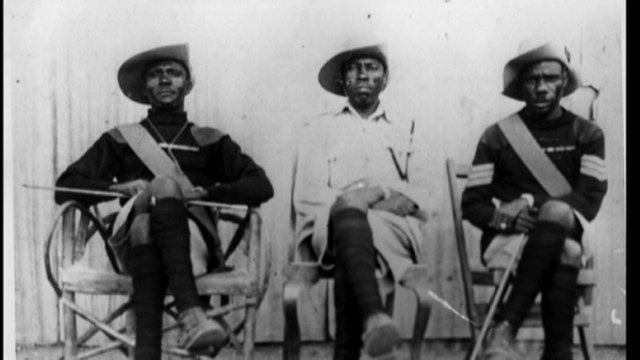 The British Army began recruiting them out of modern day Sudan at the turn of the last century. They formed part of the King’s African Rifles, a regiment raised from the British territories in Africa. Nubians helped expand the empire and fought in both world wars. To reward veterans, the British government gave families land in a forest near Nairobi. They called it Kibr, now it is Kibera, Kenya’s largest slum. A recent photographic exhibition by Greg Constantine highlights their long history in Kenya. Since Kenyan independence in 1964, Nubians have struggled to find a formal place in Kenyan society. Despite living in Kenya for three, sometimes four, generations, Nubian families often struggle to get recognized by the state as Kenyan citizens. Hussein should know. It took him ten years of struggle to get a passport. He was a member of a rugby team – he couldn’t travel. He was a trained chemist – he couldn’t get a job with the government. According to the Open Society Foundations, there are some 15 million stateless globally. From Thailand’s hill tribes to Dominicans of Haitian descent in the Caribbean, stateless people are not recognized by any country. While some Nubians have become true Kenyans by virtue of luck or patience, in recent years the situation seems to be getting worse, not better. A senior immigration official told me that the Kenyan government vets many Nubians, regardless of how long their families have been in the country. Immigration, home affairs, and even intelligence gets involved, I was told. Nubians are even asked for their grandparents’ birth certificates to get official I.D. Nubians do live in other countries in East Africa, but Kenya’s Nubians are, in many ways, the first Africans settled in Nairobi. Still, many can’t truly feel it is home. Hussein said: “When a Nubian begins to say we have been here for four generations, this is almost a century plus we have been in this land. [And] the first question that comes from authority is ‘are you a Kenyan’”? Nairobi â€” A man committed suicide in Migori District after his wives thwarted his bid to take a third wife. “And I asked her â€˜why am I in a wheelchair? Where is my uniform? I work here’. That was the first time [I remember].” After she was told what had happened to her and Mr Maina, Ms Munene went to church and prayed “seriously”. New Delhi: She studies in class VIII, badly misses her mom, has fallen in love with chicken tikka and naan, and she wants a medal — not any, but one at the Oct 3-14 Commonwealth Games. Meet Khaaliqa Nimji, all of 12 years, from Kenya, one of the youngest competitors at the Games. It is a dream come true for Khaaliqa as she marks her arrival on the international stage in India, a country about which she knows little but has taken a liking for its food to such an extent that she has not tried the African and the continental dishes since her arrival at the Games Village Sunday. “I am madly in love with the chicken tikka and the naan. That is all I have been eating since I have come,” she gushes. “It feels great to represent Kenya. I know I am fairly young but walking around with the elder lot does not bother me. I am just thrilled to be here,” Khaaliqa told IANS. “Khaaliqa started playing tennis at a training center in Nairobi,” her father Nimji revealed. “But now I have to force her to play that sport. She prefers playing squash all the time. It is so much fun for her.” he said. Human rights activist Al-Amin Kimathi, (File). International human-rights groups have called for Uganda to release a Kenyan human-rights activist held on terrorism charges or provide details of the charges. Kenyan Al-Amin Kimanthi was arrested on September 15 along with a Kenyan lawyer, who was released three days later. But Kimanthi was held for six days and then charged with terrorism and murder. He says the details of the charges against him have not been made clear. The charges relate to a July bombing in Kampala that killed 79 people. The Somali insurgent group al-Shebaab has claimed responsibility for the attack on the night of the World Cup final. 38 people have been charged in connection with the attack, and Rawlence says at least 13 of those are Kenyans who have been transferred to Uganda unfairly. This week Human Rights Watch and London-based Amnesty International sent a letter to the Ugandan and Kenyan governments criticizing the manner of extradition and calling for action to be taken in the case of human-rights activist Kimanthi. Uganda State Minister for Internal Affairs Matia Kasaija says the human-rights groups have no right to criticize Uganda’s investigation into the bombing. “Who has violated the more human rights, the one has come and killed my 70 Ugandans or someone who we have arrested and kept in jail for two days?” Kasaija said. He says those charged are being held in a secure prison and will receive a fair trial. He said the full nature of the charges against them will be made public once the investigation is complete.